The number of Pennsylvania children who are uninsured declined sharply last year as reforms began to take effect, according to a report released today. The report by Pennsylvania Partnerships for Children and Georgetown University’s Center for Children and Families found that between 2014 and 2015, the uninsured rate for Pennsylvania children declined from 5.2 percent to 4.1 percent. Before expanding Medicaid, Pennsylvania had seen only a marginal decrease in uninsured children the previous year – going from 5.4 percent in 2013 to 5.2 percent in 2014. 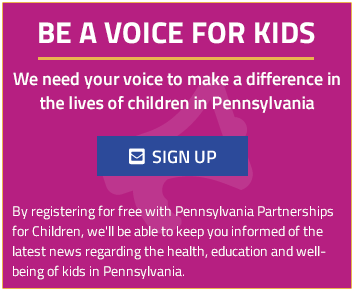 Continue Reading »"Report: Pennsylvania Making Great Strides in Covering Uninsured Children"